Elections are among the characteristic features of any liberal democracy. By 507 B C, the Athenian Leader; Cleisthenes, had introduced a system of political reforms he called 'demokratia', which meant rule by the people. Demokratia ,when translated, implied rule of the people through their chosen representatives. In Nigeria, through various constitutional conferences and delegations, 'demokratia' got berthed on 1st October, 1960, when the British Union Jack was lowered and in its place the Nigerian Green-White-Green Flag was hoisted. One major sustainable source of assurance democracy draws from is the inalienable rights of the people, that is the electorate, to judge and determine if their elected representatives are worth their confidence or otherwise. Expectations of the electorate from their representatives may vary from one political clime to another. The projections would, however, be contingent upon such factors as; intellectual development of the electorate, level of industrialization of the society, the strength of the rule of law, security and gross domestic product. 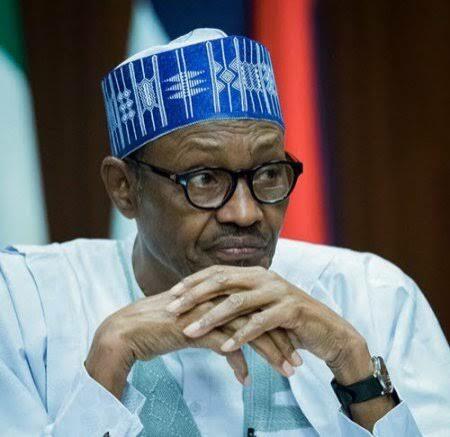 Here in Nigeria, owing to their unique experiences, it seems to appear that a good number of the electorate has lost confidence in representative leadership. A society that is embedded in abject penury will hardly have confidence in its elected leadership. In the first instance, for one to be elected a leader, one must not only appreciate the predicaments of one's society but must have the capacity to pull one's people from poverty to prosperity. This is why the electorate must, of necessity, be able to know and appreciate , at any given time, the pedigree and quality of aspirants who seek their mandate. An electorate that mistakenly gives it's mandate to a pipsqueak should not complain later of having weak and ineffective representative. Apart from general incapacity on the part of many representatives, many of them develop wings and fly away from the electorate no sooner than they had been elected. All the promises made by many elected representatives during electioneering campaigns are forgotten as soon as they are elected and sworn-in. It is this scenario that has avoidably led to loss of confidence among the electorate. No doubt, this loss is a major threat to democracy in Nigeria. As a Governor in Abia State, it is well known that Senator T A Orji rolled out a variety of empowerment programmes. Because of trust he, ordinarily, should have in his close aides, he released most of the empowerment materials by proxy. Unfortunately, many of those who had been trusted with the responsibility of making sure the empowerment items reached their targeted destinations, allowed selfishness to overshadow their mission. It was not a good experience. In Umuahia-Central State Constituency, there is a dynamic young politician that, out of studied experience of what happened to his father and immediate past Governor of Abia State; Senator T A Orji, has successfully introduced a paradigm shift in the relationship between a representative and the electorate. The politician under review is the Member representing the good people of Umuahia-Central State Constituency and the Majority Leader in Abia State House of Assembly, Engr Chinedu Orji. Relying on the wisdom that once beaten, twice shy, Engr Orji introduced what he calls 'Direct Touch'. By this Direct Touch approach in dealing with the electorate in his constituency, Engr Chinedu Orji now relates directly with any or every member of Umuahia-Central State Constituency. He has completely jettisoned the idea of reaching any member of his constituency by proxy or delegation. Whoever has a need for his attention now gets it straight from Engr Orji. Through this systematic pragmatic approach, Engr Orji has been able to assist not only several individual members of his constituency but equally the Various communities, groups and organizations in the constituency. Engr Orji has succeeded in establishing many life-touching projects for his constituents. His scholarship programme for students from the constituency has directly affected in the most positive manner such students. His vision for the youths of Umuahia-Central State Constituency has translated to the youths being trained and empowered in various skills. Engr Orji does not leave any sector of his constituency's economy unattended. He spreads his Direct Touch approach to the health, trade and investment and even churches. Yet, Engr Orji gives maximum attention to his primary duties of representation, law making and oversight functions. Engr Chinedu Orji has brought an innovation into the relationship between the ruler and the ruled. He has, therefore, bridged the dangerous communication gap between the representative and the electorate. A random poll on Umuahia-Central State Constituency today shows that the collective confidence of the electorate has been rekindled and come 2019 election, their vibrant youthful representative will have their overwhelming support for his re-election into the State House of Assembly. Politicians from other constituencies in Abia State and even beyond are advised to take a cue from Engr Orji's Direct Touch approach and, by so doing, enhance their relationship with the electorate and, therefore, deepen our 'demokratia'. THE SECOND COMING OF GOV. OKEZIE IKPEAZU. The style and disposition of Gov. Okezie Ikpeazu has made it possible for him to have effective administration, achieve goals, sustain quality and deliver first-rate services to Abians. The constant push in infrastructural development being experienced across the state can only be attributed to the effective and ethical leadership we have in the state. The manner in which Gov. 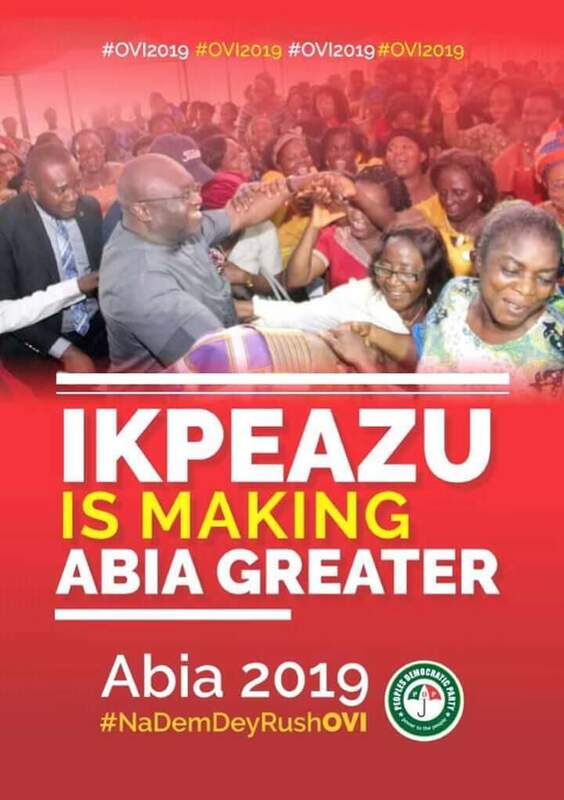 Okezie Ikpeazu has carried on with the management of Abia state infrastructural and economic resources for the development of the state shows effectiveness, quality delivery and equity in governance. Gov. Okezie Ikpeazu's administration has been fair to all in the delivery of key infrastructure across the state because he knows that Infrastructural development is a key driver of progress and a critical enabler of productive and sustainable economic growth. This has contributed significantly to human development, poverty reduction and increase in economic activities across the state. The emergence of a dedicated leader like Gov. Ikpeazu, has really changed the political history and climate of Abia State. Indeed, Abia State is on the right footing. Abians are known for their ingenuity and ability to set the pace in various aspects of governance which have paved way for skills, abilities and endowment for them to find expression for nation building, thereby enhancing participatory democracy. Gov. Ikpeazu has recorded many milestones with his infrastructural revolution in the state. From the construction and reconstruction of roads and bridges across the three senatorial zones of the state to the building and rehabilitation of classrooms and laboratories in our schools; from the facelift in our hospitals to the empowerment of our women and youths, and to the making of favourable economic policies that have helped in promotion of Made-in-Aba goods and services, etc. The core of his achievements is not a fairy tale but a reality which is enough to guarantee him a second term in office and 2019 will be another avenue to exercise that franchise, to once again elect Gov. Ikpeazu for his second coming. In Abia State today, with the unrelenting infrastructural development drive of Gov. 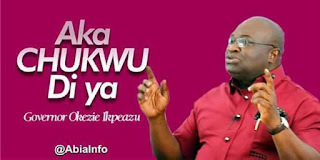 Okezie Ikpeazu and his efforts in pension and salary reforms, there is nothing left for the opposition to fault. Their hunger for power has made them weak, inept. They are no more articulate in their strategies than their resolve to think that they can distract a working government with their poor, cheap propaganda. For Gov. 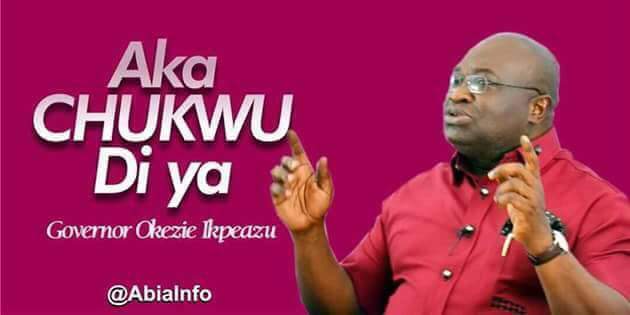 Okezie Ikpeazu, Exodus 20 vs 12 is already a reality in his life. The blessings and endorsement of Gov. Ikpeazu by our senior citizens from across Abia state has affirmed his second tenure in the office. The launch of free Home care Initiative for the Senior Citizens in the state is a kudos to his administration. The idea behind the initiative is positioned to improve the health status of families, individuals, especially our elderly citizens across the 17th Local Government of the state. His love for an integrated home care network, provision of quality services designed to meet diverse health care needs of those in the grassroots that cannot get to the hospitals, and the reduction in the number of the elderly that goes to the hospital which is not their natural home, is a welcomed development. The gaint strides of Gov. Ikpeazu in the health care system of the state do not only a testify of his good works but have accelerated his endorsement for a second term bid in office. The assessment of Gov. Ikpeazu's first term in office as a means of guaranteeing his second term speaks volume. He has dignified governance in Abia State and his policies and programmes have changed the narrative of the state. Despite the prolonged litigations, his rapid developmental feats across the state speak of a man who is eager to get to his destination. Under Gov. Ikpeazu, Abia state has unarguably witnessed meaningful development. The socioeconomic and infrastructural development in the state has accelerated the influx of investors into the state. His exceptional moral virtues and superlative ability in the discharge of his duties has made him receive accolades and votes of confidence as the head of government in Abia state. What more is left? We need to give him our votes come 2019 to head Abia State Government till 2023. RE: IS ALEX CHIOMA OTTI AN NGWA MAN? This is a rebuttal about some of the erroneous and misleading if not mischievous rants of Mr. Okey Amuta on the matter under reference. My name is Samuel Ezenwoke Umunna Nwuzor. I am a native of Umuehim Nvosi, in Isiala Ngwa South LGA, of Abia State. Umuehim in the Village where Mazi Alex Otti claims to be his village in Ngwa land. During the 2015 elections, I voted in the same polling booth with Alex Otti. As I write on this matter, I write of what is unbiased opinion that is not influenced by cola nuts, hot drinks, cash gifts or the like. Some time in September 2014 when I heard of Alex Otti's intention to seek nomination to run for governor of Abia State under PDP, I visited him in his Umuru Umuehim residence and had a chat with him, wherein I frankly told him how fruitless and impossible his decision could be due to the issue under reference, that is whether he is an Ngwa man or not. He told me that he was asked to go and salvage Abia State. I told him that the voyage was time bad because the governorship slot was for the Ngwa people.He asked me whether he was not an Ngwa man. I told him that he was an Aro man resident in Ngwa land. He then said "The contest is for a bag hung at a height, he whose hand is able to reach there, let him take it". I said, "that settles it"and I left. I had done my duty as a noble elderly Ngwa man that does not watch the goat as it delivers it's kid (young) while still tied to it's pen. Unarguably, Alex Otti was born and brought up in Umuru Umuehim Nvosi in Isiala Ngwa South LGA. It is however wrong and show of ignorance of history to tie our early ancestors time of sojourn in this geographical enclave to that of the Aros living with us. Evidence to this effect, is that the Aros living in Umuru Umuehim have no single parcel of land they can call their own by ancestral acquisition except they either bought or received as gift out of the benevolence of our people. For the benefit of Mr. Okey Amuta and his likes, the first Aro man known to history that sojourned in Umuehim/Umuguru was Mazi Ulu, a centenarian who died around 1982 when I had grown to adulthood and above the age of 30 years. 1. When Alex Otti gained admission into University of Port Harcourt, he did not collect his local government certificate of origin from Isiala Ngwa but from Arochukwu L.G.A. 2. In University of Port-Harcourt Alex Otti did not join the Ngwa students' union at the approach of Ngwa students there, rather he became the president of Aro Students' Union. 3. Prior to his determination to contest for governor in 2015, he was completely indifferent to anything whatsoever done in Umuehim /Ngwa land, be it social, developmental, political or otherwise and was not personally known to both old and young and he virtually knew nobody in the village. 4. When I learnt that he was the MD of Diamond Bank; I personally reached out to some notable sons of Umuehim along with some sons of Aro community in the village for us to organize a reception for him, he made himself completely incommunicado, just because he did not want to have anything to do with us, the Ngwa people. 6. When he got money enough to build a house befitting his status, he went to Arochukwu and built his mansion with a bold inscription at the gate of his compound "NO PLACE LIKE HOME". He only hurriedly came and built a good house in Umuehim when it became obvious to him that the governorship slot was shifting to this divide of the state. 7. Mazi Alex Otti was a registered member of PDP in Arochukwu Ward 3 with Ward registration No. 16, only for him to transfer his party registration/membership to Ehi na Uguru/Osokwa Ward 5 in Isiala Ngwa South L. G. A. On July 18, 2014, when it became obvious to him that Ukwa/Ngwa Zone was going to produce the governor. 8. With all that God blessed him In Ngwa land prior to his governorship quest, he hardly identified with anybody in Umuehim Village/Ngwa land. He did not participate in any development program neither did he initiate any and no development project whatsoever can be credited to him, not even the grading of one road in the community. And as touching the performance of the governor Dr. Okezie Ikpeazu, it is either ignorance of the numerous laudable projects done by him across Asia State or selfishness that will make anybody in Abia, especially of Ngwa extraction rate him that poor, as Mr. Okey Amuta did. This is quite unfortunate. My submission on this matter is that anybody that behaved in the manner as discussed above, even if he was the only son of Ngwa land does not deserve a single Ngwa vote. Our God is God of justice. Where you sow is where you reap. This is payback time. He who neglects basic control multiples his sorrows. Bas hogia. In 2014 when Alex Otti procured APGA’s Governorship ticket, like a desperate political merchant, he made the case that Chief Reagan Ufomba should not be allowed to run a second time after failing to win the Governorship in 2011. He copiously cited political conventions from within and outside Nigeria to buttress his position. With enough ill gotten wealth from wheeling and dealing with all kinds of characters in the banking industry, he managed to convince then party Chairman, Chief Victor Umeh, to smell the cash and deliver the ticket to him weeks after the left the PDP that was unwilling to trade her Governorship ticket for N3b upfront and N7b later. Highly liquid Chief Chikwe Udensi who was among those Otti chased out of APGA in 2011 is making exactly the same case Otti made in 2014: no losing Governorship candidate is given the ticket to run the next election in same political party. 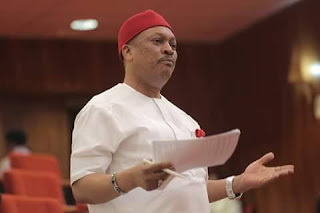 Udensi recently disposed off his assets in South Africa and is now very liquid with Chief Victor Oye (current APGA Chairman) being reportedly in his pocket. Udensi and Oye are now singing Otti’s 2014 song from same hymn book. 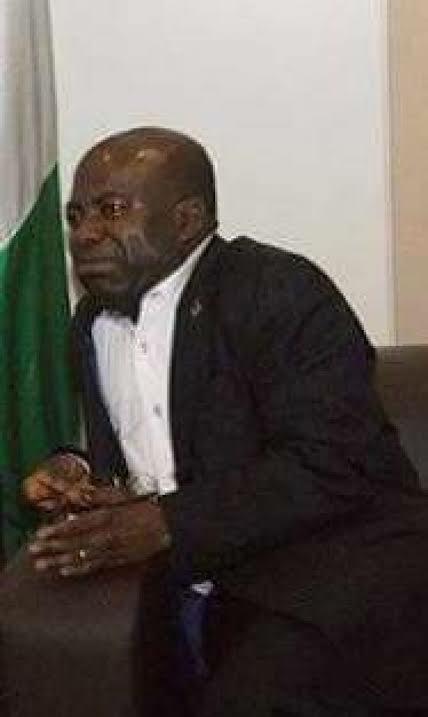 Sensing disgrace at the APGA primaries, arrogant Otti is now hiring and sponsoring media misfits to sign petitions and publish advertorials to malign Udensi and accuse him of being in Governor Okezie’s pocket. Interestingly, the hitherto confident Otti is panicking. After seeing the caliber of APGA stakeholders and members, who were mobilized from Abia State as against those he rented from outside the state, that attended the Udensi declaration rally it has dawned on him that the APGA Governorship ticket is slipping away from him. Almost all those who supported Otti in 2015 have either joined Governor Ikpeazu in PDP or aligned with Udensi’s faction of APGA. The list is endless: Damian Ozurumba, Tony Ukasanya, Reagan Ufomba, Ahamdi Nweke, Chris Nkwonta, Moses Orji, seven APGA house of assembly members, all LGA campaign directors of Otti’s Abia First group etc. In response, Otti is running from pillar to post to stave off direct primaries in APGA in the hope that Governor Willie Obiano will help him compel party leaders who are mostly from Anambra State to support him as a consensus candidate. Otti’s case is made worse by his poor financial war chest which was grossly depleted after the desperate legal battle he fought with Governor Ikpeazu with more than N3b lost to rogue judges, political jobbers, fraudsters, Spiritualists, rogue INEC officials etc. Similarly, a cheque of two million naira issued by Otti to one Maduka Akpulonu who organized a rally at a brothel along Ikot Ekpnene road in Obingwa, reportedly bounced and the man is telling whoever cares to listen that he will deal with Otti if the cheque is not redeemed within one week. It is instructive to note that a fund raising event organized by Otti in Lagos failed to attract notable campaign donors. Apparently those who fell for Otti’s 2015 political scam have decided that a high performing Governor Ikpeazu is undefeatable and they have chosen to ignore Otti’s propaganda and lies on how he agreed with President Buhari and APC leaders to deploy soldiers and policemen to help him execute what he called “the Ekiti Magic”. Political history has a way of repeating itself but political gladiators has refused to draw lessons from past events. Impunity and subversion of the people's freewill and aspirations has been the bane of party politics especially in the PDP. This was the reason why the party failed to make remarkable impressions in the last general elections. Candidates were foisted on the party in several instances, members shut out of aspiring freely, which eventually resulted in electoral sabotage by some DISGRUNTLED members. That ugly culture is rearing its head again in Ikeduru. Some may ask; what is your business with Ikeduru, and PDP? It is only a fool who does not border when a neighbor's house is on fire. If you do not make effort to put off the fire, it may go wild and raze your entire household. For those who are close watchers of Sen Samuel Anyanwu's political growth, you will agree with me that Sam Daddy has been the major beneficiary of Chief Iwuanyawu's political privilege and opportunities. Right from his days in the Local Govt to the State House of Assembly. How he contested and won the senatorial election still remains a mystery to political pundits. It was all because of Chief Iwuanyawu's influence. Iwuanyawu had publicly told his audience that SamDaddy is his retirement benefit. According to him, it was SamDaddy who will take care of him when he gets old and inactive. For this reason, so many other people had to give way for SamDaddy to rise. We are abreast with the outcome of Ikeduru PDP Leaders meeting wherein our own Chief Emmanuel Iwuanyawu undemocratically presented and compelled Ikeduru leaders to adopt Senator SamDaddy Anyawu as Ikeduru Project with a stern threat of frustrating any aspirant or delegate from Ikeduru who does not key into the SamDaddy Project. Chief Iwuanyawu categorically made it clear that Senator SamDaddy Anyawu will be given the privilege of drawing the 36 man delegate list in Ikeduru even in the wards of other aspirants irrespective of who bought the form or not. This development is a clear manifestation of gross insensitivity to the interest and aspirations of other aspirants who are been shut out of making inputs as to how delegates will be selected in their various wards. We are also not oblivious of the fact that the draconian directive was targeted at those who are perceived not to support Sen. SamDaddy Anyawu's aspiration. Most targeted are the likes of Amb. Uche Ogbuagu and Hon Henry Nwawuba and Emeka Ihedioha. The aim is to deny them of the privilege of having delegates from Ikeduru voting for them in the up coming PDP Primaries. It is surprising that the interest and aspirations of Ikeduru people could be sacrificed for the unrealistic aspiration of one man, SamDaddy, whose chances of clinching the PDP ticket is as slim as the needle. I think it is high time Chief Iwuanyawu is told to drop his old fashioned style of politics where the interest of the majority is mortgage for the interest of the very few. Better still, he should approach the National Pensions Board to process his gratuity and pension instead of milking on the chances of other aspirants. He should stop trading Ikeduru for his retirement benefit. Sen Samuel Anyanwu should run on his strength not on the shoulders of Chief Emmanuel Iwuanyawu. The uncommon determination of Dr. Okezie Victor Ikpeazu to fix and remodel Abia, the God's Own State, is fast yielding results. The uncommon governor has no doubt surmounted obstacles and dismantled clogs in the wheels of progress as he doggedly champions revolutionary programmes that are turning Abia to a modern-model state. When the governor embarked on the reconstruction of Enyimba International Stadium, Aba, many especially the opposition doubted his sincerity of purpose. The opposition descended and criticized him without recourse to the social and economic gains associated with sports especially globally. Without relenting, Dr. Ikpeazu showed an exemplary commitment in his avowed bid to deliver a world class and internationally rated football stadium for Enyimba Football Club of Aba. Prior to the novelty match and ceremony that heralded the official re-opening of the stadium a few days ago, the commissioner for Information in Abia State, Chief John Okiyi Kalu, in discharge of his duties, gave an insight to the stadium project after touring the facility with a team of sports journalists. 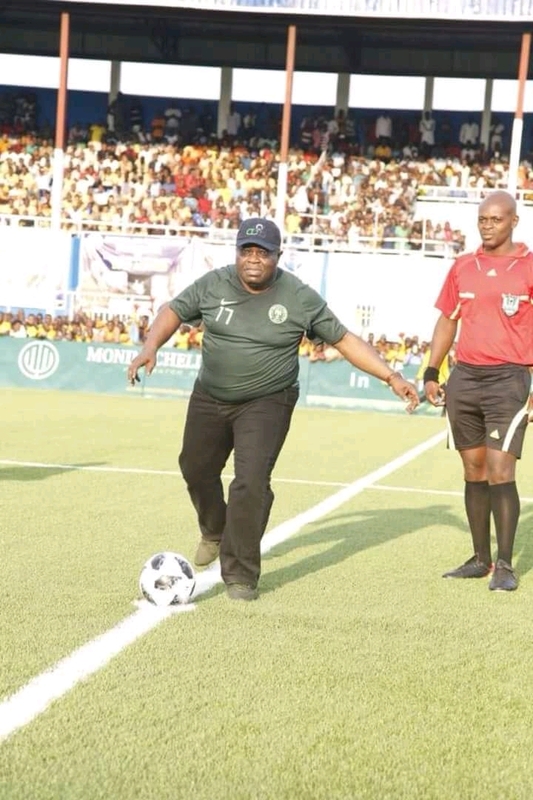 As reported by News Agency of Nigeria (NAN), the commissioner disclosed that the installation of the new turf cost the state government a whopping one million euros (about N450,000,000). The contract, according to him, was awarded to a Yenagoa-based Monimichelle Group. Okiyi mentioned other components of the contract to include the construction of tartan tracks and re-roofing of the spectator stands, FIFA approved modeled goal posts and nets, 32 public toilets at the facility and four additional entrance/exit gates to bring the total number to 12. “For the first time in the history of the stadium, public toilets are being provided for spectators. Before now, people usually littered the surroundings of the stadium with faeces, especially on match days", the commissioner said. Recall that Enyimba FC also known as the People’s Elephant had relocated to the U.J. Esuene Stadium in Calabar in 2016 for all their home matches in the Nigeria Professional Football League (NPFL) and CAF competitions to give way for total reconstruction, remodeling and upgrading of the stadium by Dr. Ikpeazu-led administration. Enyimba FC, the only Nigeria’s team left in the continental campaign this season received a major boost ahead of Wednesday's CAF Confederation Cup Group C decider against CARA Brazzaville of Congo following a meritorious approval after the recent inspection visit carried out by CAF officials. The People's Elephant won that crucial match to triumphantly announce their return to Aba stadium. Before the crucial match, Enyimba Coach, Usman Abdallah, named as replacement following the sudden departure of Paul Aigbogun midway into their campaign reportedly showed enthusiasm of his boys progressing to the quarter-final. “It is positive development for us because it would be better playing at our home ground in Aba, though it will be the first time for some of our new players in the team. “We are not going to be under pressure against CARA especially after the important away victory against Djoliba last week. I’m optimistic of a positive result in Aba,” the former Kano Pillar gaffer enthused. Beyond sports development, Abia State government under Dr. Ikpeazu has enlisted infrastructural transformation that cut across the 3 senatorial districts of the state to demonstrate his good intention to the good people of Abians. Within the period under review, Dr. Ikpeazu has constructed and completed over 67 road projects. These include Kamalu Road, Ukaegbu Road, Umuola Road, Umuocham Road, Umule Road, Ommene Drive, Jubilee Road, Ehi Road, Hospital Road, Ube Street, Adazi Street, George’s Street, Echefu Road, ENUCRoad, St. Michael's Road, Azikiwe Road, Pound Road, Owerrinta Road, Weeks Road, Park Road, School Road, East Road and Okwunauka Road. Others are Cameroun Road, Queens Road, Ehere Road, Umuojima Road, Umuojima-Owerrinta Road with Spur from Owerrinta to Umuocheala, Bata-Railway Crossing to Brass Junction, Ibadan Road, AharanduRoad, Onyebuchi Road, Umuehleigbu Road, Asphalt Overlay of dualized Aba Owerri Road, Ovom Road, Mosque Street, Umuatako Road, Asa Umuka-Ugwunagbo Obohia Junction Road, Owerri Road off Okigwe Road, Chima Nwafor Road and Mbawsi-Umuala Road in Isialangwa North LGA. The governor has repeatedly promised with commitment to ensure that all ongoing road projects littered in Aba and other parts of the state are completed on record time. This is as the governor's entrepreneurial agenda vis-a-vis the Made-in-Aba Campaign has gainfully unlocked and created several business opportunities for producers in Aba. About N3b direct orders and requisition to Aba that created additional employment and engagement of more than one million employees and apprentices in the over 300,000 markets around the state have lifted the economy of the state. Dr. Ikpeazu has equally extended his Midas touch to Ariaria International Market as his government collaborates with the Federal Government to install an Independent Power Project financed by Rural Electrification Agency (REA). The Power Project has provided an uninterrupted power at the market to 2,000 shops on a pilot basis while another Power Station is constructed to capture another 34,000 shops. He also pioneers Africa's first Institutional Tele-Health Support Initiative which expands healthcare delivery to rural areas thus enhancing the knowledge, attitude, practice and skills of the local healthcare workers. With the few listed and other achievements to his credit, Dr. Ikpeazu has moved Abia, thge God's Own State, to the region of fast developing states in Nigeria. Today, we join millions of Abians to celebrate the birthday of the amiable wife of the Governor of Abia State, Deaconess Nkechi Ikpeazu. Even without hugging the spotlight, her footprints are everywhere in Abia State with the work she is doing with Vicar Hope Foundation; providing FREE counseling and test for Sickle Cell Anaemia, building and donating over 40 houses to widows, construction of 10 multiple-stall market structures across rural Abia, organizing skill acquisition training and donating take-off materials to more than 500 Abia women, payment of medical bills of many indigent folks, promotion of girl child education, protection and promotion of rights of women and other vulnerable persons through advocacy and other support initiatives, initiation and supervision of the second to none school feeding program in Abia State which has ensured the overwhelming success of the program and organization of annual August meeting for Abia women, among others too numerous to mention. Indeed she symbolizes the heart 💜 of the Ikpeazu administration. 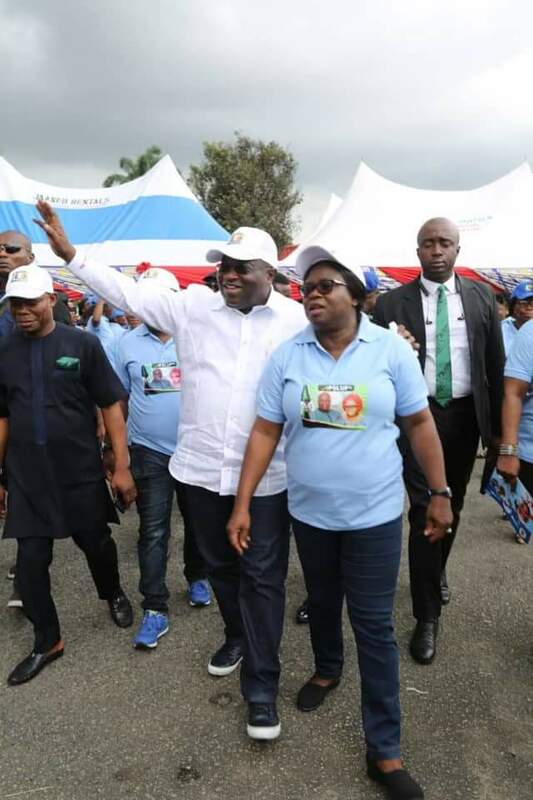 At a recent public event she attended with the Governor, she introduced him as “the Governor of Abia State and husband of the amiable wife of the Governor”. 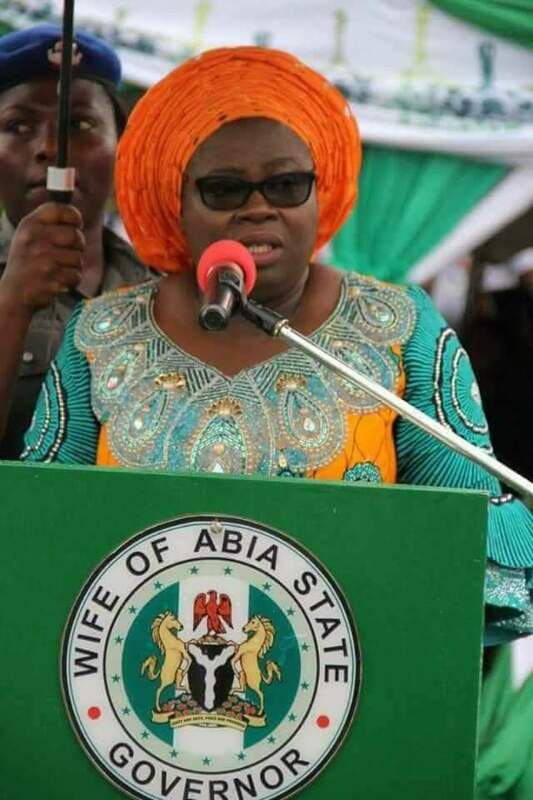 Let’s celebrate this woman of virtue and prayer warrior who, regardless of her husband’s exalted position and her own quiet contributions to good governance in Abia State, prefers to be seen as simply the wife of Dr Okezie Ikpeazu and mother of four wonderful children. Happy Birthday our Deaconess of Hope. The Nobel Laureate, Prof. Wole Soyinka, yesterday knocked President Muhammadu Buhari for saying national interest is greater than rule of law. Buhari had spoken in Abuja on Sunday at the commencement of the 2018 conference of the Nigerian Bar Association. 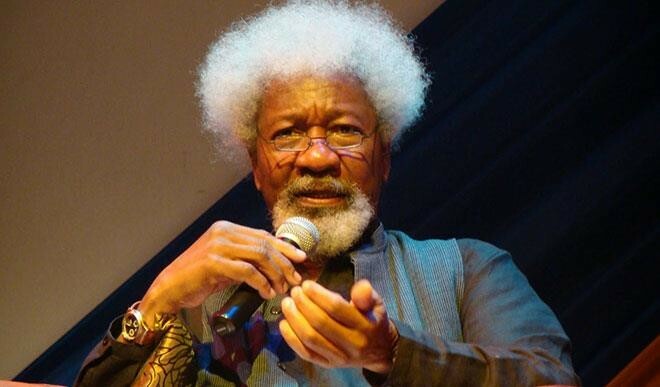 But in a statement entitled “Buhari’s Pernicious Doctrine”, Soyinka yesterday said history had proven over the years that rule of law often outlives leaders who attempt to trample on it. He stated: “Here we go again. In his first coming, it was ‘I intend to tamper with Freedom of the Press,’ and Buhari did proceed to suit action to the words, sending two journalists – Irabor and Thompson – to prison as a reward for their professional integrity. Soyinka said Nigerians should be thankful for Buhari’s advance warning, “since not all rulers actually make a declaration of intent, but simply proceed to degrade the authority of the law as part of the routine business of governance. “We have been there before. It should be of mere interest, not despondency, that this latest proclamation of dictatorial recidivism has also been made before an assembly of officers of the law, the Nigerian Bar Association. We expect a robust response from the NBA as part of its conclusions,” he said. According to him, there is no shortcut to democracy and that the history of law, even where uncodified, is as old as humanity. “Numerous rulers have tried again and again to annul that institution. Sometimes they appear to succeed, but in the end, they pay heavy forfeit. So does society,” he stated. It is given that Man is not and can not be infallible. In the absence of perfection, Man should, however, strive towards impeccability. The worst thing that could happen to any Man is a deliberate desire and attempt by him to deceive himself, thinking he could be deceiving someone else. Propaganda in our clime has been situated to be synonymous with any piece of information, especially of a biased or misleading nature, used to promote a political cause or point of view. However, in the politics of grass-roots, proclivity to the use of such propaganda is not only ineffective but self-inflicting. A Political Party that knows what it wants, does not spend a whole lot of time only to deceive itself. This is so because any effort that does not add value to the electoral strength of such a Party, simply amounts to a costly waste of time and resources. Following the general condemnation of intra-party crisis and irresponsible conduct within the All Progressives Grand Alliance in Abia State, that avoidably reared its very ugly head not long ago at National Institute of Nigerian Languages (Demonstration Secondary School), Aba, in Obingwa Local Government Area of the State, the leadership of Mr Alexander Otti's faction of the Party that has remained at daggers drawn with the faction led by Chief Chikwe Udensi felt the only step it could use as damage control was faking a rally in Obingwa to create a false impression of having a stronghold in the area, the home of Governor Okezie Victor Ikpeazu, who mercilessly trounced Mr Otti in 2015 governorship election. Last Tuesday, 28th August, 2018, the Otti faction of APGA surreptitiously hired some youths and hauled them to the premises of former Inter Soft Breweries at Alaoji, which is now Star Link Hotel, along Aba-Ikot-Ekpene federal road and purportedly held what it considered to be a big rally. 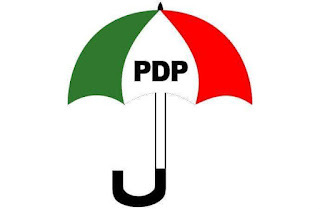 The derisive aspect of the so-called rally is its claim that many members of PDP in Obingwa Local Government Area used the occasion of the rally to defect to APGA. What an indiscreet manner of self-deceit! For sake of truth, no member of Peoples Democratic Party in Obingwa left the Party for any other Party, not to talk of APGA that has been torn into shreds by internecine factional grievances and disaffection in the State. Among Obingwa people are very experienced and shrewd political leaders who know and appreciate the political weight of producing and retaining a Governor of a State. Though there could be a Judas in every twelve, the influence of such a traitor would be so minimal that its effect can not exceed that resultant of one pouring cold water on a duck on a very dry hot day. One Akpulonu was projected as having left PDP for APGA and some uninformed persons tried to associate him with Hon Solomon Akpulonu who is the Deputy Leader in Abia State House of Assembly. This is far from the truth. This Akpulonu is Madu and not Solomon. He has always been inconsequential in the politics of Obingwa. He does not play mainstream politics and had never been a member of PDP. He is alleged to be notorious in matters that concern money. This accounted for the type of upheaval that was witnessed at the venue of the meeting last Tuesday, as Akpulonu had, true to his nature, disappeared even before the end of the purported rally with the money given him to pay the mercenaries hired for the rally. At this point, it would be absolutely necessary to advise the leadership of APGA in Abia to put a stop to its constant resort to sophistry. The Governor's devotion to infrastructural development; including roads and electricity, has gone a long way boosting the State's economy. Hence, many young men and women, who out of economic depression and frustration could have taken to crime, now have taken advantage of the Governor's friendly economic and social environment to have themselves meaningfully and lucratively engaged in lawful enterprises. Time and space may not permit me to delve into other sectors, such as Agriculture and Trade and Investment, where the present PDP administration of Ikpeazu has exceptionally carved a niche for itself, that has guaranteed security and peace in God's Own State. Their separate rallies are reminiscent of war speeches against each other. The build-up to the Party's State Congress to elect who will fly the gubernatorial flag of the Party in 2019 election has already manifested danger to the peace of the State. 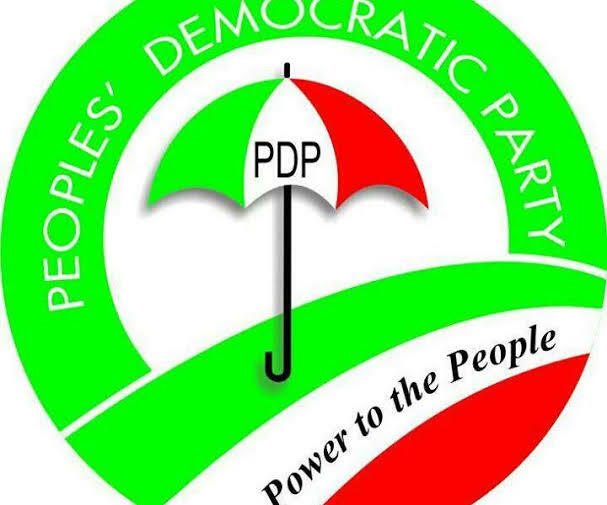 The Peoples Democratic Party in the State is concerned because of the ultimate concern it has for the indigenes and residents of the State. Apart from the danger inherent in such a gathering of fierce enemies, none of the factions obtained permit from the appropriate authorities. The Divisional Police Officer incharge of the area, according to available information, did not know the factions would have anything to do with the school that day. The Authorities of the School, including the Chairman of Parents Teachers Association; Chief Seth Agonmuo, were not given the courtesy of knowing that the factions wanted to use the premises of the School. The Traditional Ruler of the Community; HRH Eze O J Anaba, was not given even the slightest respect of being informed of the factions' invasion. It is quite laughable and, indeed, a pity that some APGA leaders are now, instead of apologizing for this act of irresponsibility, threatening to bring down heavens when next they would 'storm' Obingwa. On a Final note, it has to be stated that in as much as PDP in the State will go to any length to make sure there is peace in the polity, this should not be misinterpreted for weakness. In 2014 when Dr Okezie Ikpeazu declared his intention to run for the gubernatorial election in Abia State, some naysayers didn’t give him any chance at the polls. But like a determined fighter, Ikpeazu knew how to choose his fight and achieve his goals, he went to town preaching his message to all segments of the society, but he focused on the real people, the youths, the elderly, the downtrodden while also appealing to the sensibilities of the elites. He had charm and gusto, his deep knowledge and expressed wisdom was not just electrifying but also infectious. He marshaled out his dream for a new Abia that will run on 5 development pillars and 5 enablers. By the last count after a repeat rerun, Okezie Ikpeazu Ph.D. the common son of an ordinary schoolteacher was announced the Governor elect. Right from the onset, like he started, the Governor began a gradually but deliberate effort to rewrite the history of the state. Prior to his coming Aba was an eyesore in terms of road infrastructure, today, by taking the bull by the horn some impassable roads have been demystified. Who eve knew that Ukwu Mango, Ifeobara pond, Omni Drive, the trio of Ehere, Ukaegbu, Umuola and several other Aba roads could survive one round of rainy season. He came with a homegrown strategy – rigid-cement-pavement technology, the once Aba road reputed for demystifying rehabilitation efforts has bent under the Ikpeazu ingenuity. Governor Ikpeazu caterpillar revolution across the state under the current economic downturn shocked naysayers who never gave him any chance, they thought he had nothing offer the state. Another area Governor Ikpeazu has blazed the trail is in the area of the famous Made-in Aba Campaign. Prior to his election and from time immemorial Aba has been reputed as the hub of leather and garment production, in fact Aba is known as the commercial nerve centre of the east. 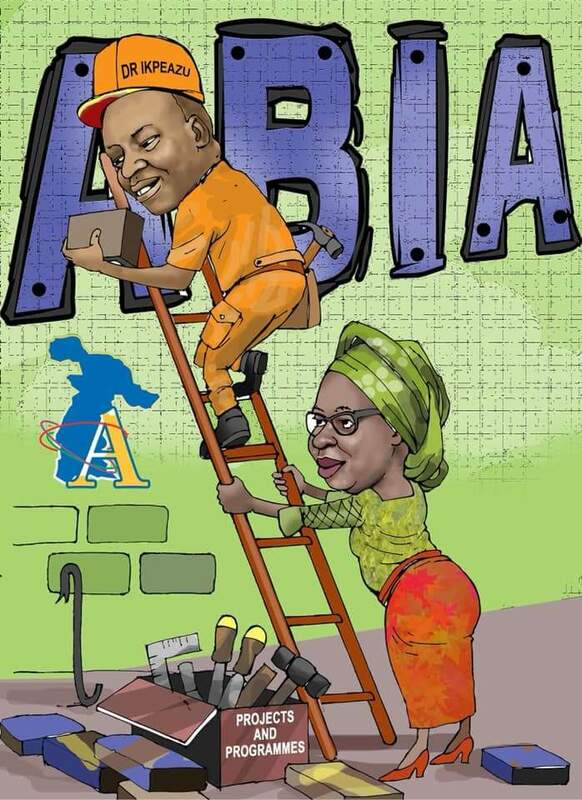 But at no time had anybody taken the crafts of Aba to the height the Governor took it to. Granted Senator Abaribe began the made in Aba exhibitions in Abuja, but the gusto, the style and flavour Governor Ikpeazu brought to the campaign, immediately skyrocketed it to the moon. Made in Aba has become a global slogan. When he began with branding and marketing, many a people including some team members reasoned that was a wrong strategy, I remember some friends reaching me to criticize our thought process. Alas, the man with the Midas touch knew what he wanted to achieve. Today, the campaign has resolved many of the issues bedeviling Aba entrepreneurs, light is coming, access to finance is here, market share has increased-the orders are coming in droves, investors are flooding the place, the Enyimba Economic City – the big picture is the answer, he is resolving the infrastructural challenge, Aba entrepreneurs have never had it this good. The sales are on the increase, today, Aba shoe makers and dress makers are proud to put the inscription “proudly made in Aba’ on their products. What an achievement! The complete rewriting of the history of the Enyimba Stadium is another milestone that has set Ikpeazu apart from others. In this same state and just recently, Enyimba Football Club used to be the darling club winning all kinds of laurels back to back, even with all the money that came from those victories, who knew the stadium had no single toilet facility, not conducive dressing room, the pitch was nothing to write home about, yet they remained the lead team in Nigeria. When the history maker came to town he insisted that the place needed his touch, on Sunday history will be made as the former eagle’s players file out in a novelty match to celebrate the newly remodeled Enyimba Stadium reputed as the best in Nigeria today. the resounding endorsements across the state for Governor Ikpeazu, is as a result of his very peculiar approach to leaving his signature on the sands of time in a very special way. Let me state it from the outset that this piece is a direct response to the one written by one Chinedu O. Nwosu which he mischievously titled “Leadership Failure in Abia State”. Ordinarily, seeing that the piece was full of falsehood and deliberate manipulation of facts, it was easy to see that it was a hatchet job done primarily to revive the drowning political career of a former governor of Abia state in the person of Orji Uzor Kalu and mislead the good people of the state in the process, one would not have responded to it but for the sake of putting the records straight with fact and figures. While the writer labored so hard but in vain to denigrate the current governor of the state, Dr Okezie Victor Ikpeazu and his immediate predecessor, Senator T.A. Orji, he attempted to pull the wool over the face of Abians by his beatification of Orji Uzor Kalu, a man whose antecedents and eight years as governor was nothing but an unfortunate waste to the state. 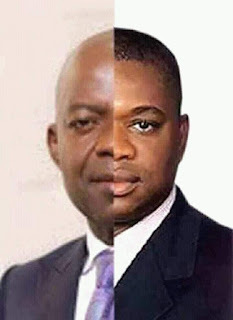 It would seem that when God said in the Book of Prophet Joel 2:25 that “I will restore to you the years that the locust hath eaten, the cankerworm, and the caterpillar, and the palmerworm…” he was referring to Abia and her days Orji Uzor Kalu held sway as governor. God being a faithful God whose “word will never return to him void without it performing that which he has sent it” started the restoration process the moment he gave Senator T.A. Orji the uncommon courage to cut himself free from Kalu who was bent on continuing his days of locust, cankerworm, caterpillar and palmerworm invasion of the state by proxy through the amiable senator and immediate past governor. That freedom for himself and for Abians from the stranglehold of a brutish godfather was the first phase of Abia State’s freedom and restoration. One wonders why anyone who claims to love the people would embark on a task to canonize a man, a former governor in Orji Uzor Kalu, who is currently facing corruption charges in the court as slapped on him by the Economic and Financial Crimes Commission, EFCC, for allegedly embezzling the humongous sum of N7.6bn of the state resources, an amount that was even higher than the entire federal allocation of N7.06bn to the state for the entire year 2000 during which he was governor. In other places, Kalu would have been treated with the utmost disdain he deserves for throwing the state into the wreck which she is only managing to smart out from following such an alleged audacious stealing. 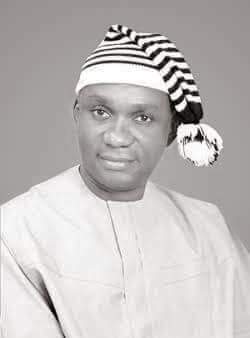 That Chinedu said that Abia State “is very backward” in terms of infrastructural development is not only false but also sinister, it is, yet, understandable because he was obviously writing from what he was used to in the hey days of his hero when the few wishy-washy road projects Orji Uzor kalu constructed always got washed away by the very first rains. Is it not an indictment on Kalu if anyone says that Abia State is backward in terms of infrastructural development? If that is the case, where then are the infrastructure and projects which Chinedu glowingly credited to Kalu, a disaster in governance. Like God promised his people in the Book of Prophet Joel, the reign of the locust has since gone and today, Abians have been restored. With 67 solid verifiable road projects completed in the state and 82 others at their different stages of completion, the education sector receiving an unprecedented turn around that has seen Abia students come 1st in WASC for three consecutive years since Ikpeazu came to office despite the stiff competition among states, aggressive diversification of the state economy through agriculture that has also seen to the successful distribution of a whopping 2 million high yielding tenera palm species among other impactful agricultural operations, the revolution in the health sector where the Dial-a-Doc Telehealth initiative, which is the first in Nigeria, allows Abians to have access to highly professional medical attention from the comfort of their homes just by dialing some dedicated numbers etc, all within just 36 months of Ikpeazu being in office, Abia State is surely on the rise again and on the path of irreversible progress. 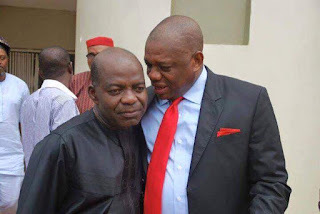 One would not have known the global shame which Orji Uzor Kalu had brought to Abia State through sports as the Enyimba International stadium despite having hosted high profile competitive international matches involving our darling Enyimba of Aba, had been without even a single toilet. The stench that oozed from the stadium as a result of the indiscriminate disposal of human waste during matches was enough to cause an own goal for a team. The dressing rooms were in shambles and masqueraded with rickety furniture while the pitch was not only patchy but also muddy and easily turned to an Olympic-sized swimming pool on rainy days. 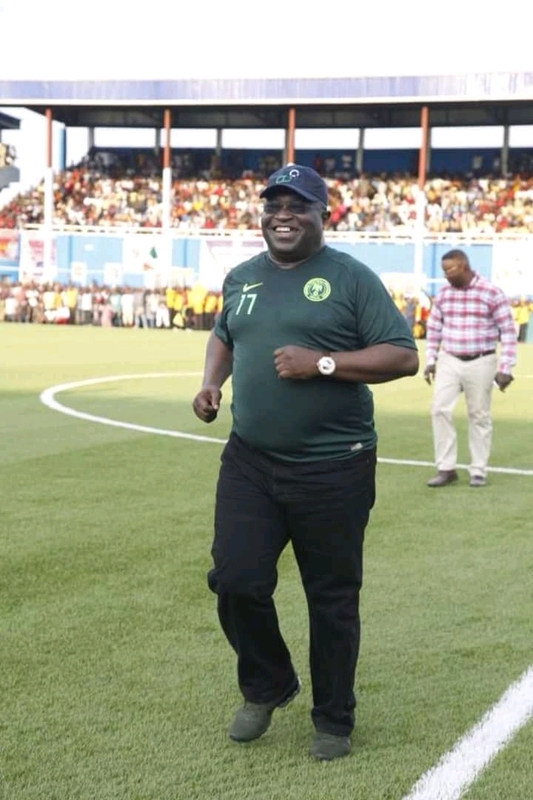 But today, the story is different as Dr Okezie Victor Ikpeazu has provided world class toilet facilities, renewed the dressing rooms, and laid the latest pitch technology of hybrid grass on the stadium. While work is still going on in other areas of the now-world class facility, ex-international players, sports analysts including those of the highly reputable DSTV, journalists, fans, supporters and those who have seen the stadium attest to the fact that it is now one of the best in the country while the pitch is unequivocally adjudged the very best one can find anywhere in Nigeria, all thanks to the governor. On security, it is both sad and unfortunate that some people find it so easy to manipulate facts for their own selfish ends. When the federal government sends “Operation Python Dance” to Abia State, you see the Chinedus of this world crying their voices hoarse and shouting, blaming the federal government for sending the python dance to the southeast when the region which includes Abia is at peace and has no security challenges. But when they want to justify their pay from political opponents desperate for power, they immediately change their tune and claim that the state is insecure. Too much double-speak from a set of people. In a release by the National Bureau of statistics last year for 2016, it was recorded that Katsina, Abia and Zamfara recorded the lowest crime rate in the country with 0.10 per cent, 0.29 per cent and 0.38 per cent respectively for 2016, and that is because Dr Ikpeazu quickly settled down and tackled headlong the wave of crime that bedeviled the state. For a state that used to be tagged as a den of robbers and kidnappers to be rated as one of the three states in the entire federation with the lowest crime rate just only a year after Ikpeazu took power shows the kind of work he did in ensuring that Abia is safe not only for her citizens but also for residents and investors. Little wonder his “Proudly Made in Aba” campaign has attracted accolades from all corners of the world to the extent that foreign investors are now rushing to Abia to take advantage of the conducive business environment being created by the governor. Recently, the Ruyi Group of China signed a multimillion-dollar investment agreement with the state for the new Enyimba Economic City and the whopping sum of $1.3m dollars has already been committed to the projects by one of the partners for the design and other preliminary works of the emerging humongous city that is modeled after the tourist and business city of Dubai and spans a land mass of 9,800ha across three local governments of Ukwa East, Ukwa West and Ugwunagbo, with the federal government carried along. It is therefore not a surprise that reputable institutions with unblemished records of credibility have singled out the governor and given him awards thus: Vanguard Newspaper Governor of the Year 2017; Authority Daily Newspaper Governor of the Year 2017; Verbatim Magazine Governor of the Year 2017; even the presidency which is controlled by the the APC which Orji Uzor Kalu belongs to could not resist the temptation and also most recently gave Dr Ikpeazu an award for being the Most friendly MSME Governor. The above are all verifiable facts and figures. Those who attempt to tarnish the image of the governor and his good works will always run away with their tails between their legs because Dr Okezie Ikpeazu towers far and above all of them put together when it comes to concrete evidence of performance enumerated in facts and figures. And this is just the beginning for NdiAbia! Governor Okorocha will be setting up a campaign structure for his inlaw on Saturday. All the notable political parties in Imo are not participating in the kangaroo LG Election. The unfortunate thing is that every community is now assumed to be a Ward as against the INEC recognized wards. According to them, the rubber stamp state assembly amended the laws accommodate such charade. PHOTOS: IS NDDC A CURSE IN ABIA STATE? Is NDDC a curse in Abia? As I write this, I am extremely angry. My people are suffering in the hands of NDDC. For those of you who are celebrating NDDC uncompleted projects in Abia and those that attracted the projects, know it that NDDC in Abia is taking us back to stone age. I cried at my village in Ohafia today when I noticed that a road that was constructed by NDDC some weeks ago have been washed away by rain same way the Nkpa road in Bende built by NDDC through SLOK and the uncompleted one at Isialangwa that Alex Otti claimed he attracted have been washed out. These roads were not built with stone base nor drainage yet some persons used it to play politics and praise federal Govt. Could you imagine that the ones NDDC claimed they gave Orji Kalu's SLOK over #4b to patch failed portions along Uzuakoli-Ohafia road have failed within 5 months ? I have listened to the Governor Dr. Ikpeazu on several occasions tasked NDDC to deliver quality projects same way he is building standard roads with drainage and stone base in Abia but politicians are conniving with NDDC to do haphazard jobs and deliver action roads that won't last up to a year just to get votes from unsuspecting Abians. Is it not our right to benefit from NDDC that generates money from us? In his recent piece titled “The Politics of Blood(y) Tonic”, Alex Otti, the failed gubernatorial candidate of the All Progressives Grand Alliance, APGA, at the 2015 governorship election in Abia State, embarked on a warped journey of self-adulation and a deafening ululation, delivered with the exuberance and delinquency of a political straggler desperate to help himself like Shakespeare’s Macbeth to achieve an ambition for which he has shown little capacity, temperament and virtues to actualize. Since he lost the 2015 election, Alex Otti has been relentless in his campaign of calumny, painting every other person as a sinner deserving of immediate and eternal punishment except him. Although he appears with the mien of a harmless and innocent sheep and the gait of a graceful cheetah, Otti’s true characters usually show when he is on his unholy mission of self-canonisation at the expense of others. This makes him appear so honest and so sincere but the reality is that one does not need to come too close to him to see that he reeks of deceit burnished in sophistry and laced with flattery. Perennial and consecutive defeats at the 2015 gubernatorial election, the Federal High Court, through the Appeal Court to the Supreme Court, seem to have caused him to master the art of hypnotizing the fickle-minded and sending his vulnerable followers to a state of delirium and revelry each time he dishes out his mendacious sermons as he did in his article in question. This confirms what Dr T.P. Chia said about such people: “Hypocritical humility is the highest form of lying. Honest arrogance is the lowest form of self-promotion”. Going by his antecedents and recent actions, it would seem as if Chia had Alex Otti in mind when he made that indisputable statement about characters like the former banker turned politician. Let’s take a cursory journey into Otti’s article and see where he cleverly hid his hypocrisy while painting others bad. First, in the opening paragraphs, Otti claimed he went to see an unnamed “wealthy political stakeholder” who had invited him shortly after he declared his intention to run for governor in Abia State, and that “As is customary, I brought some drinks and kola nuts along. I had struggled with this practice as what I was used to was that when visiting someone, the host would be the one to offer drinks and kola. But my friends insisted that in the “business” of politics, it was the guest that provided these things”. The question here is, how could Otti have known and admitted to what is customary, yet, would pretend he has been struggling with the practice? Outside politics, it is common practice not only in Nigeria but also elsewhere, that, for different purposes, people take gifts along while on a visit to some of their hosts. May Otti tell us if he took gifts including drinks and kola nuts to his in-laws when he was seeking the hands of his wife in marriage or not? It is not only self-serving but also hypocritical to give the impression that while others do it, he was only ‘forced’ to do same. Let us even assume without conceding that this age-long practice in our African culture which is meant to symbolise the high esteem which the visitor and bearer of the gifts holds his host is strange to Otti, why did he succumb to it if he was a man of principle like he tried to paint in the essay? If he could reject the practice of “Blood Tonic Politics” which he claimed his host tried to impose on him, why did he not show the same character in turning down the advice to go see his host with gifts since he did not believe in it? The truth is that, that story looks like a native soup Otti cooked and served without remembering to add salt and went about town claiming to have served a delicious dish only for his guests to quickly remind him not to jubilate too far and too long for his soup is tasteless despite the rich condiments in it. He even lacked the simple courage to mention the name of the so-called “wealthy political stakeholder” because he knew he was lying. As a man who is always afraid and retreats with his tail between his legs when confronted with the true position of things as against his own version, Otti was obviously afraid of a backlash of the truth hitting him hard, hence, when spewing falsehood, he avoids mentioning names to avoid being busted, yet, he keeps churning out such stories just to feather his own nest. After having qualified stakeholders as a set of people with penchant for primitive accumulation, Otti in his usual act of double-speak still went ahead to claim that “…investments would be attracted such that qualified stakeholders would be appointed to boards of those companies”. Ordinarily, one would have thought that Otti would appoint only technocrats to such boards if he ever had the opportunity of doing so, but he still ended up saying he would appoint qualified “stakeholders”. The import of this is not lost on the discerning. What Otti was simply saying was that it would be the turn of his own set of “stakeholders” to take control of government machinery if he ever gets to power, his pretences notwithstanding. One might not blame him after all because from the look of things, it is obvious that Alex Otti is under immense and intense pressure from his “stakeholders” to pay back all they spent on and for him in the run up to the 2015 election to the extent that he was able to hijack a party as large as APGA in Abia State and even became their governorship candidate just within about three months of defecting from the PDP where his insincerity was detected in time and denied the ticket. His hijacking APGA was done at the expense of those who had laboured so hard to build the party from scratch to the little it can be reckoned with in the state. Even political neophytes know that hijacking such a party at that level in the manner Alex Otti did required humongous resources and horse trading. Why is Otti not telling us how much he paid his APGA “stakeholders” to the extent that they hurriedly surrendered their entire party structure to a stranger like a people hypnotised? Or does Otti think we are all as gullible as his followers? Who does not know why he is so desperate to become governor? Otti is greatly indebted and he might be thinking being governor is the easiest way for him to have access to public till and settle his “stakeholders”. It is this primitive mindset which he has that makes him think the same of every other person. 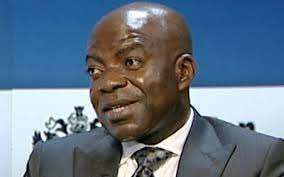 While Otti “also promised to empower our children to acquire relevant skills and knowledge that would make them confident to challenge their peers in other emerging societies like China, Turkey and India”, the sitting governor has already surpassed this dream as our children are now household names in the world. When some of our children went on skills acquisition and improvement tour of China recently, they easily displaced Chinese workers in the factory over there because of the “relevant skills and knowledge” which the governor has already imbued in them, and the confidence resulting from his aggressive marketing of their products worldwide. What we have already achieved in Abia is what Otti is promising the people. That is a reflection of a man who lacks ideas and innovation. If there was anything like “Blood Tonic” politics in Abia State, that has since stopped because the current governor has deployed the State resources to the massive provision of verifiable infrastructure, education, with our children coming first in WAEC for three consecutive years; health, agriculture, security, which saw Abia State win the recognition of being “The Most Peaceful State” in Nigeria, etc. No other testimony can be a greater confirmation of this fact than the gale of awards from credible institutions coming the way of the governor: Vanguard Newspaper Governor of the Year 2017; Authority Daily Newspaper Governor of the Year 2017; Verbatim Magazine Governor of the Year 2017; and the latest from even an APC-led federal government as the MSME Governor of the Year. With the serial and unending endorsements also coming his way by the common people from different communities in the state, it is certain that the sitting governor has all classes of people cutting across the different strata of the society including the masses as his own “stakeholders”. If Alex Otti needs blood tonic to replenish his spent blood as a result of the trauma he suffered from his serial losses during and after the 2015 elections, he should feel very free to visit any of the general hospitals in the state either newly built or revived by the sitting governor for first class medical attention. As a citizen of Abia, he would be courteously attended to not minding the baggage of crisis of identity he still carries about. ALEX OTTI IS A POLITICALLY BARREN & WISHFUL THINKER. The scourge of the Nigerian political space, has been the unbridled intrusion and emergence of uncongenial aspirants, who pretend to be endowed with the breast plate of political righteousness to ‘save’ the Republic or state. They huff and puff about some imaginary pie in the sky or dubious low hanging fruits, they would harvest for citizens if elected to public office. Dr. Alex Otti recent castigation, of Abia state government fits into this mold. As a retired banker and economist, one had expected him to provoke a debate or dialogue on the policy direction and economic blueprint of the government of his vision. In a desperate effort at besmirching the PDP and Abia State Executive Governor, Dr Okezie Ikpeazu, the erstwhile money changer at Diamond Bank that carved a niche for himself in the heroic book of gubernatorial failures, did not make any pretense at enlightened commentary but oozed out a rancid and wishy washy hoopla, fuming with street language, intellectual thuggery, and conversational terrorism. He betrayed a pathetic narrative, likened to the grumblings of an abandoned, marginally attractive spinster bereft of a spouse. The critical mass of the civil society, turned up their noses ,because he reeked with false hood, ignorance, reckless, dumb and illogical appraisals. The centerpiece of his conversation since his 2015 misadventure is to dwell on theatrics, rooted in demagoguery, distortion of history and barefaced misrepresentation which has been his nemesis and will always be. In his recent outing, he oozed out his trademark tissue of lies about ‘tacky’ Abia infrastructure, civil servants unpaid salaries, healthcare, Enyinmba City and a litany of salacious beer parlor gossip. In trying to denigrate Abia, he made a heavy weather of Aba roads, as deficient, with an epithet of infrastructural decay He lied, that we have the worst road networks in the federation. We state without any fear of contradiction that for the first time in the history of Abia state, Dr Okezie Ikpeazu set in motion and pioneered THE CATERPILLAR revolution- an audacious, vigorous engagement to endow Ndi Abia with top of the range, well paved roads. What Dr Okezie promised at the electioneering campaign platform, has matched the lived life in the communities. For instance he was sworn-in on May 29, 2015 which was a Friday. By the next working day, Monday, June 1, 2015, he flagged off seven roads within the Aba metropolis. By the next day, Tuesday, June 2, 2015, he reverted to Umuahia where 3 roads, were flagged off. As we speak more than 134 road projects are either completed or ongoing. The list of of completed road projects are herewith stated. Kaduna Street, Umuahia,Kamalu Road,Umuwaya Road, Umuahia,Road II, Federal Lowcost Housing Estate, Umuahia ,Niger Road, Umuahia Ukaegbu Road, Aba Umuola Road, Aba, Umuocham Road,Aba, Umule Road, Ommene Drive, Aba Jubilee Road, Aba Ehi Road, Aba, Hospital Road, Aba,Ube Street, Aba.Adazi Street, Aba Okon-Aku Main Bridge, Ohafia LGA,George’s Street, Aba South . The inventory continues with: Aba-Uwalaka Street Link Road to Factory Road, Umuahia ,Ubakala Street, Warri By Club Road, Bende Road, Army Checkpoint, Bank Road, Abia Tower Round About, Umuahia,. Owerrinta Road, Aba. Week's Road, Aba Park Road, Aba,School Road, Aba East Road, Aba, Okwunauka Road, Aba, Cameroun Road, Aba Queens Road, Aba. Ehere Road, Obingwa , Umuojima Road, Imo Ndikpa Bridge, Umunneochi, Umuojima-Owerrinta Road with Spur from Owerrinta to Umuocheala, Isiala Ngwa South/Obingwa . Bata-Railway Crossing-Brass Junction, Ibadan Road, Aharandu Road, Aba South . Onyebuchi Road, Umuehigbu Road, Road 2 in low cost Housing Estate Umuahia Road 8 in Low Cost Housing Estate Umuahia. Ugwuezi road Abiriba (ring road phase Ohafia ,Asphalt Overlay of 1.3km dualized Aba Owerri Road (2.6km single lane and channelization of Aba Phase I), AbOkobo bridge along Abam-Ndi Oji/Ndi Okereke-Arochukwu road Erosion Control Works at (6) Spots Along Uzuakoli-Akara-Ohafia Road (10km), Bende LGA including Imenyi. Ovom road, Ogbor Hill Aba, Mosque Street Aba, Umuatako road Aba Asa Umuka-Ugwunagbo Obohia Junction road, Ugwunagbo. Owerri road off Okigwe road Aba.Chima Nwafor road Aba.Abam Street, Unuahia North. Awolowo road, Umuahia North. Nbawsi-Umuala road, Isiala Ngwa North. Construction of 3 No Roads in Federal Lowcost Housing Estate, Umuahia Construction of Eke-Eziama Obuzu Ngodo Road, Umunneochi,Construction of Abiriba Ring Road phase 2 with Spur to Amaukwu, Ohafia,Construction of Eluama Amilo Acha and Amino Otamkpa, Isuikwuato, Construction of Umuovom-Okwueze House of Assembly Road, Umuahia North, Rehabilitation/Reconstruction of Abia Nkwo Ahiaba Umueze-Udeagbala PH Express Express Junction with Spur to Umuimo Junction on Aba-Owerri Road, Construction of Ebenma/Egege Road, Construction of Osisioma Interchange (Flyover) Aba Rehabilitation of Umuaro-Umuokoro-Mgbokonaya-Umuokegwu-Omoba-Umuerie-Umuekia Road, Obingwa/Isiala Ngwa , Construction of Ariam-Usaka Ring Road, Ikwuano LGA,Construction of Umuagu-Ossa Ukwuowo Obikabia-Ohuru Ring Road, Obingwa LGA Construction of Unueze-Agbor-Ubani Ibeku Modern Market Road, Umuahia ,Construction of Ozuabam-Ndi Okereke-Arochukwu Road, Arochukwu LGA, Construction of Amuihe-Umuokehi-Umunkaru Afugiri Road, Umuahia North LGA, Construction of 3 No. Roads in Umuahia (Umuana 1st Gate, Unuana-Ahiaeke Road and IBB GRA Dual Carriage Way), Umuahia North LGA Construction of Bende-Idima Aba Road, Arochukwu LGA. Construction of Ebem Layout Road Ohafia, Expansion of Aba-Obikabia Road, Isiala Ngwa North. Reconstruction of Uratta-Umuekechi-Obekwe-Ogwe Road, Ukwa Construction of Umuobiakwa-Itukpa Crescent, Obingwa . Construction of Umuojima-Owerrinta Road with Spur to Owerrinta Umudigha Road, Isiala Ngwa South Construction of Abiriba Junction to Etitiama Nkporo, Ohafia ,Construction of Umuobiakwa-Owo Onicha Ngwa Road, Obingwa LGA,Construction of Amaoba-Nnono Ndoro-Oboro Road with Spur to Ikputu, Ikwuano LGA. Construction of Amuda Isuochi Community Road, Umunneochi LGA. Construction of Lohum-Nkpa Dto Enugu Port Harcourt Expressway, Bende/Umuahia ,Dualization/Expansion of Umuahia-Aba Road , Ururuka (Phase II), Umuahia North/South/Isiala Ngwa North/South/Obingwa , reconstruction of Umuahia Railway crossing to Eastern Comfort Hotels, Umuahia , construction of Ariam Usaka Ring Road, Ikwuano, Reconstruction of Emelogu Road, Aba. Reconstruction of Ohazu-Ozumba Streets, Aba. Reconstruction of Faulks Road, Rehabilitation and Expansion of Ifeobara Pond with 6.5km underground drainage to waterside Aba. 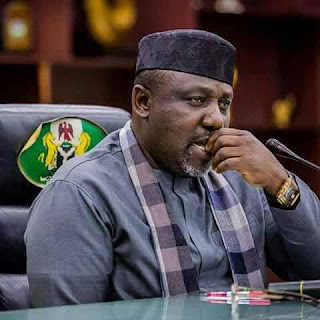 Rehabilitation of Trinity College-Afara Technical Secondary School Road, Umuahia North Construction of Umuocheala/Abayi-Ihie Road, Isiala Ngwa South Construction of Abayi-Ariaria Umuojima-Umuakpara Road Spur to Umuidiagha , Construction of Nbawsi-Eziala-Osusu-Okpuala Ngwa Road, Reconstruction of MCC road Aba Reconstruction/Construction of Udeagbala Road, Aba. Reconstruction/Construction of Kent street with Spur to Aba Shopping Mall, Aba, Reconstruction of Aba Area Command Access Road, Aba Construction of Ibere Road by Ngwa Road, Aba. Rehabilitation of failed sections of Roads in Aba Municipality (Total Area 19.914km), AbaReconstruction of 3 Roads within World Bank Housing Estate , Umuahia North LGA,Construction of Obinwa- Omauzor Abattoir Road, Uratta Aba,Construction of Agbozu Cocoa Plantation Road, Uratta Aba,Construction of Nbawsi Urban Roads, Isiala Ngwa,Construction of Umuaro-Nenu-Obot Akara Road, Obingwa LGA,Construction of Road in Uratta Integrated Market, Aba, Osokwa-Aro Umuehie-Omoba Road , Isiahia-Umuode Road ,Obehie (Foundation Hope) Umukalu-Umuturu-Obaha-Obohia-Ohandu-Umuibe Road . 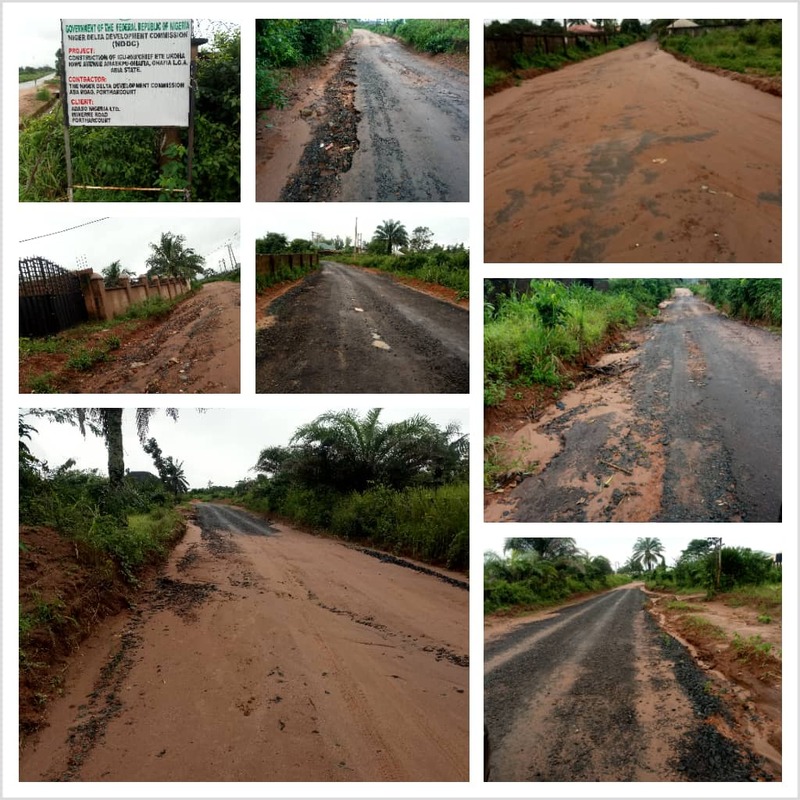 Amaise-Umuobiakwa-Ohanze Road , Owoo-Ahiafor-Agburuike-Ohanze Road ,Reconstruction Umuaro-Umuanunu-Ekwereazu-Nto Border Road Ovom/Umuogele Junction-Ukuenyi-Abala-Ika Akwa Ibom Border,. Eziala-Nvosi-Eketa Road .Mgbokonta-Amachi-Umunkpeyi Road , Umunkpeyi-Amaiyi-Okpokiri-Umuehim-Umuru Road . Amachi-Nenu Road . 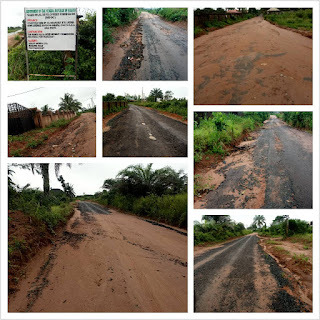 Construction/Rehabilitation of 10km length of Rural Road(s) in each of the 17 LGAs of Abia State. Reconstruction of Port Harcourt Road Aba, Aba North LGA, to 6-lane road with BRT lane. Construction/Dualization of Layout Roads in New Government House Area, Umuahia North LGA. Construction of People's Road-Akpu Road. Reconstruction of Ngwa Road Aba South Reconstruction of Immaculate Avenue Umungasi Aba with spur to Kamalu road. Rehabilitation of 10 No. Roads in Umuahia- Agbazuere Road, Orpet Filling Station to Nwokwa Street, Nneokwa Street, Enugu Ukwu Street, Ndoki Road, Health Centre Road, Emma Nwabuko to Upstairs Line Road, Mazi Akuma Okoro Road, Unuafai Junction to Kolping ( Upstairs Line) Road and Mao Ohuabunwa Road, Umuahia . Construction of Ukoma Road, Umuahia North Umuda Isingwu erosion control, Umuahia North,Construction of St Paul’s Street Umungasi Aba Reconstruction of Osusu road Aba., Reconstruction of Omuma road Aba,Reconstruction of Uratta road Aba., Construction of Ovim-Acha road in Isuikwuato LGA. Construction of Ogboro-Amibo-Acha road in Isuikwuato. His Excellency, Dr Ikpeazu’s administration introduced the use of Rigid Pavement (Cement) Technology in road construction to guarantee a minimum of 30 years life span for concerned roads. Most of the roads under review were beneficiaries of this technology, with double drains to boot. It is on record that Ikpeazu’s administration commenced the construction of the first ever Abia interchange (flyover) since the creation of the state, at Osisioma Aba. The hot air regarding ‘collapsing health infrastructure’ is another parody of constructive criticism. A simple fact check reveals that upon assumption of office, Governor Okezie Ikpeazu, released funds for the total rehabilitation, reconstruction and upgrading of all the Schools of Nursing in Abia State. Consequently, the School of Midwifery Abiriba and the Schools of Nursing at Aba, Umuahia and Amachara were upgraded leading to their re-accreditation by the Midwifery and Nursing Council of Nigeria. Admission into these institutions have since resumed. Okezie’s administration went into partnership with the MTN Foundation to fund the reduction of maternal and infant mortality and morbidity in the state. Under this arrangement, the maternal wards of 4 General Hospitals were equipped and upgraded. They are Abia State Specialist and Diagnostic Centre, Umuahia, Abia State University Teaching Hospital, Aba, General Hospital Okpuala Ngwa and Cottage Hospital, Owaza. The infrastructural upgrade at the Abia State University. The icing on the cake is the Abia State Tele Health Support Centre commissioned by Vice President. Prof Yemi Osinbanjo. The state-of-art, geriatric medical outreaches established by His Excellency, Dr Ikpeazu is a free, service run in situ that caters for elderly and senior citizens who are treated, in their homes.The Abia state Emergency health service is linked to a dedicated call centre and ambulances. Talking of industries, the mealy mouthed, defrocked banker raised posers on the quantum of foreign direct investments attracted by the present administration. We got good news for him. Turkey and China are here on ground with groundbreaking multinationals.-a product of Dr Okezie’s tireless investment drives. And as we speak Enyimba Economic City , a global business hub in the southeast region of Nigeria which is a brainchild of the Governor Okezie Ikpeazu administration has landed. It is an audacious and ambitious project conceived with the intention of connecting South-East states and four out of the six states in the south south of Nigeria.The beauty of it all is it has been designated as a Special Economic Zone by the Federal Government and will have Free Trade Zone status. Abia state under Ikpeazu is the new economic frontier of Nigeria. The motive force is to leverage Abia into the global matrix of trade, finance and production ipso facto south east. In brass tacks the mission is to create a nerve centre to the nine southeast and south south, states linked with high grade access roads, rails, airport and seaports that will transform the region into a manufacturing and industrial powerhouse, with ancillary drivers of commerce, logistics, entertainment, education, health and lifestyle living. The beauty of it is it will be developed through a public-private-partnership (PPP) company of private sector investors, Abia State Government, and Federal Government of Nigeria but will be solely managed by the private sector. And the Chairman of the advisory board is Dr Paschal Dozie, erstwhile boss of Alex Otti at Diamond Bank. Other members of the board include: Mr. C. Darl Uzu Vice Chairman/CEO, Prof Barth Nnaji, Dr. Abraham Nwankwo , Elder Emmanuel Adaelu Senator Adolphus Wabara , Mr. Chidi Ajaegbu , Prof. Anya O. Anya , Chief Sam Nwaogu Dr. Paul Ananaba, SAN, Ambassador Empire Kanu, Amb. Tom Aguiyi Ironsi , Mr. Ugochukwu Okoroafor, Mr. Austin Ufomba , Mr. Chibuzor Ekwekwuo. Enyimba Economic City will be developed over an area of approximately 9,803ha, spanning three local government areas of Ukwa West, Ukwa East and Ugwunagbo in Abia State. Because of the foresight of Governor Ikpeazu in attracting attention to Aba, the city is receiving special attention for the provision of uninterrupted power. The Federal Ministry of Power, Works and Housing, through the Rural Electrification Agency, has commissioned the construction of a 5 Megawatt Power Plant to provide over 37, 000 shops at the Ariaria International Market with uninterrupted power supply. This was after a pilot test-run with 1,000 shops over an uninterrupted period of 6 months. Upon completion in 2019, Ariaria Market traders, shoemakers, fabricators and inventors will have uninterrupted power supply. One can only imagine the opportunities that will be unlocked for creativity and inventions. The imminence of uninterrupted has leveraged Geometric Power, the pace setting private licensee of a Power Project in Nigeria with a new lease of life. Some few months ago, in Beijing, China, it signed a Memorandum of Understanding with the Ruyi Group of China for equity investment in Geometric Power which will enable it reinforce its energy grid trajectory. In the same breath is the signed a Memorandum of Understanding for a multi billion dollars investment by the Ruyi Group in the Economic City. The Ruyi Group is the World's largest producer of garments and allied products and they are set to invest at the Enyimba Economic City. The Ruyi Group already has Power Plants in China, Pakistan and Ethiopia and are looking to become the dominant players in the world in the energy sector. This investment in Geometrics will lead to the activation of not just the already completed power plant at Osisioma, but also ensure speedy work at new plants at Ugwunagbo and Ukwa West. Dr Okezie Ikpeazu is diversifying the economy through agriculture and diversifying vide technology. Sampler: mushroom production and training programs are already yielding great results: a venture which young Abians have keyed to. Ditto for rice farmers, who have boosted production with the target of producing enough to feed all Abians in 2019. His administration has established a massive palm plantation with over 4,000,000 tenera specie seedlings grown and sold across the state. The target is 7.5m seedlings at the end of 2019. It is expected that by 2022 Abia State will no longer depend on FAAC as cash crops and other programs are expected to diversify the economy of the state. Grants and soft loans are available to farmers who have the facilities of mechanized farming equipment across the state through leasing at affordable rates; less than 50% of the previous lease cost.Commercial production of cocoa and cashew have been boosted through deliberate investment by the government. The objective is to ultimately establish processing plants for the primary products to further enhance benefits within the value chain for the cash crops.The administration is directly providing fertilizers to farmers at subsidized rates alongside other free extension services. The administration embarked on enhanced poultry and fish production with phase 1 of 100 poultry pens of 2000 birds executed. By the same token it constructed a 165,000 birds capacity poultry processing plant at Umuosu Nsulu in Abia central senatorial zone. Additional two units for Abia North and South are currently under construction. Following the provision of counterpart funding for FADAMA III projects, 300 young Abia farmers benefitted from N2.5m per person grant as part of the Farmpreneur project of the world bank (FADAMA).Also in partnership with the world bank, Abia commenced reactivation of the long moribund Igu Dam to ensure all year round rice production in the state.Abia State is currently in partnership with Bank of Agriculture and the federal government in the enhanced eggs production project. As part of the administration’s capacity building agenda, the state launched the Education for Employment (E4E) scheme that has already produced 472 graduates with relevant skills in ICT, at Phase 1. Phase 2 of the program which is aimed at training 36,000 unemployed Abians in different skills has commenced at the Multi Skill acquisition facility at Umuobiakwa in Obingwa LGA. For the first time in Abia state, a database of unemployed Abians has been compiled and the government is taking verifiable actions to provide them with jobs, using the recently launched Abia state job portal.In partnership with Dangote group, a modern job center is under construction at Isiala Ngwa. To further enhance the capacity and productivity of Abia teachers, the administration is partnering with Australian education solution providers to retrain them and enhance teaching efficiency. More than 800 teachers have benefited from this program. A new teachers training facility has been opened at Umuahia to ensure continuous training of primary and secondary school teachers. Under Ikpeazu’s watch, Abia State has maintained 1st position in WAEC and NECO examinations for consecutive 3 years as a result of increased monitoring and enhancement of private and public sector educational resources. To motivate our teachers for better performance in our schools, Governor Ikpeazu donated cars to best performing teachers from the 3 zones and also built staff quarters at Umuahia.In consideration of the current socio-economic situation in the country, the government reduced tuition fees at ABSU, Abiapoly and College of Education Arochukwu to support Abia parents and guardians. Abia’s homegrown free school feeding program was launched in 2015 and currently ongoing across the state. Abia State, under Ikpeazu, is the only state in the federation providing food for primary one to six school pupils. Also Ikpeazu’s administration partnered with the private sector to provide free Made in Aba school sandals to over 2000 school children in the state. More will benefit from this program which also supports Governor Ikpeazu’s Made in Aba promotion agenda. In order to boost ICT education and stimulate interest in that area in our children from early age, Abia State launched Free ICT and Coding training for primary and secondary schools in the state using the e-library at Umuahia as hub.For the first time in Abia state, the ministry of education launched and deployed a unified education platform for all schools in the state. Results and activities of all Abia school children can be monitored from one platform for private and public schools. In fulfillment of the Governor’s electoral promise, Abia State is constructing 4 model schools (Abayi Aba, Obingwa, Umuahia and Ohafia) with nursery, primary and secondary schools in one location alongside sports facilities and teachers quarters. This we are able to execute because we paid our UBE counterpart fund of N2.8b.359 new school classroom blocks are currently under construction in the state with more than 100 completed and ready for Commissioning. In addition, the state ministry of education renovated/constructed 67 classroom blocks across the 3 Senatorial zones of the state, sank 9 Boreholes and reticulated water supply to 43 school toilets. 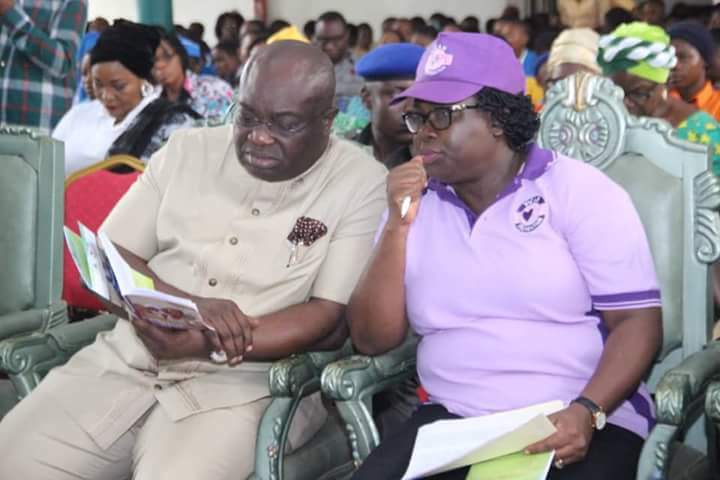 To support regular monitoring of schools in rural and urban areas of the state Governor Ikpeazu launched a new statewide education inspectors scheme and provided 42 motorcycles to enhance efficiency. The administration has reconstituted the state scholarship board and awarded tertiary education scholarships to best performing WASCE students in all the LGAs for 2 years. A new education hub is emerging around the Owerrinta area with the government providing necessary infrastructure support to ensure the development of the biggest education cluster in Africa. The state is set to establish the first ever kidney transplant center in Umuahia, in collaboration with a Diaspora medical team that recently performed the first ever kidney transplant in the state. Abia implemented WHO/FMOH model of one primary health care (PHC) per political ward. Abia State now has 292 WHO recognized Primary Health Care centers (PHCs) across the state alongside Primary Healthcare under one roof (PHCUOR) which is in keeping with international best practice.Governor Ikpeazu’s deliberate actions and policies attracted the Basic Health Care Provision Fund (BHCPF) beneficiary pilot state status attracting N1.5bn (July 2017), from The World Bank following the successful hosting by Abia State in January 2017 of The 59th National Council on Health. These funds are to be applied at the 292 PHCs for qualitative services at that level of care. Ikpeazu’s administration also provided the N100 million counterpart funding for BHCPF, the first in the history of Abia state, and attracted the $1.5million grant for the Saving One Million Lives program for results now being implemented in Abia since June 2017 At the risk of repetition,Abia State's Tele-Health Initiative (ASTHI) concluded the 6 months of pilot tests in 15 PHCs and was launched in March 2018. The service has been rolled out across the whole 292 PHCs in the state to help bring life saving care to all Abia communities. It is a first of its kind in Africa. On Ikpeazu’s watch, the Canadian Government partnered with the state for the Integrated Community Case Management (ICCM) of the 3 childhood killer diseases of malaria, diarrhoea and pneumonia being anchored by Society for family Health(on behalf of WHO/Canadian Govt). This project is now in its transition phase to full management by the state Government. The organized private sector in Nigeria is lending support to Ikpeazu’s focused healthcare improvement effort with MTN Foundation funding 2 PHCs in their new program “what we can do together campaign” in Ikwuano and Arochukwu LGAs.They also helped to build 4 brand new and world class maternal and child wards at Okpuala Ngwa, Owaza, ABSUTH and Abia Specialist Hospital in Amachara Umuahia. Nestle Plc is collaborating with Ikpeazu’s administration in the areas of infant nutrition and maternal care services. Already, an MOU with Nestle Nutrition Institute in Africa has been signed. The first phase of capacity building training/development for our medical personnel have been concluded. It is expected to continue with the aim of further improving our health indices.Ikpeazu’s administration commissioned a General Hospital in Obingwa, complete with accommodation facilities for medical personnel. Remaining 3 new general hospitals located at Arochukwu, Ikwuano & Okeikpe are at 95% completion. The long abandoned Aba General Hospital has been reactivated by Governor Ikpeazu and already providing healthcare services to Abians. Within this period, Governor Ikpeazi also re-furbished maternal and Children’s building at ABSUTH Aba as well as executed a PPP arrangement to procure cutting-edge medical equipment at the tertiary healthcare institution. Furthermore, the state obtained Re-Accreditation of Undergraduate medical training for new doctors at ABSUTH and currently working on the re-accreditation of post-graduate training schools in obstetrics & gynaecology, surgery and pediatric medicine. To further improve healthcare services and curtail medical tourism, the administration is collaborating with The Hospital Group in the USA for the establishment of Obuaku Medical City and The East Coast Medical Group in the USA for a specialised organ transplant centre in the old Aba General Hospital while Capital Health Surgical Group is upgrading the Specialist Hospital Amachara to an Urgent Care Centre. In general, referral medical facilities are at a level never witnessed in the past because of the focused interventions of the Governor.Abia State also launched the first of its kind free home care services for senior citizens with vehicles provided and personnel trained to reach senior citizens in all the Senatorial zones of the state to offer care and contribute to the government’s healthcare objective of improving life expectancy above the national average.A new Mother and Child Specialist Hospital is set to open at Umuahia. Sports and Youth Development-a new paradigm in youth empowerment. In sports, Abia is the only state in Nigeria maintaining 3 top performing premier league status football teams: Enyimba FC, Abia Warriors and Abia Angels.Enyimba FC of Aba is currently playing in the continent and representing Nigeria very well.Enyimba international stadium at Aba is undergoing remodeling with Astro-turf and new stands almost completed. For the first time, toilet facilities are being constructed within the stadium for the comfort of Sports loving people of Abia State.Governor Ikpeazu is aggressively re-introducing school sports to develop new talents.We can go on and on to showcase Ikpeazu’s records for posterity, which is on display live and direct in Abia. But as they say, he who comes to equity, must do so with very clean hands. It is relevant at this juncture to interrogate Dr Alex Otti: what developmental narrative is he endowed with? The Abia civil society are wont to ask, what was he doing in Lagos before he started his career in the bank? His trade mark signature in the money market, replete with false pretences will transmute to a fund recovery mission in Abia. Why should a failed banker, who under his watch, wrecked the fortunes of Diamond Bank in the rank order of Nigeria’s money market architecture be trusted? He told lies about some bogus loans from IFC he secured for Abia. This turned to be a lie. Under his watch, at Diamond Bank, modern ceramics Umuahia,sort a life line of N250million which leap frogged to a cumulative debt of N1.6billion, which Abia State Government is seeking to unbundle now. Alex Otti has always left a trail of sorrow and tears, along his path, unfortunately for him,Abians will ask about his pedigree and track records. The 2019 elections, will be about swhat you have achieved and not only castles politicians build in the air.